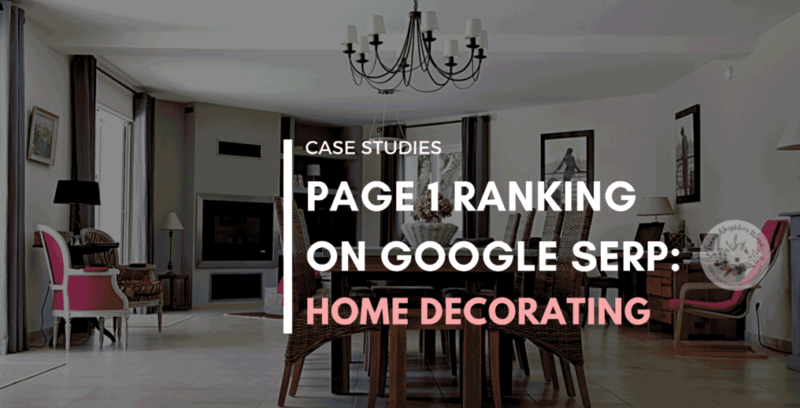 Crafting home decorating content that ranks on Page 1 Google search engine results pages (SERPs) organically, without buying ads. 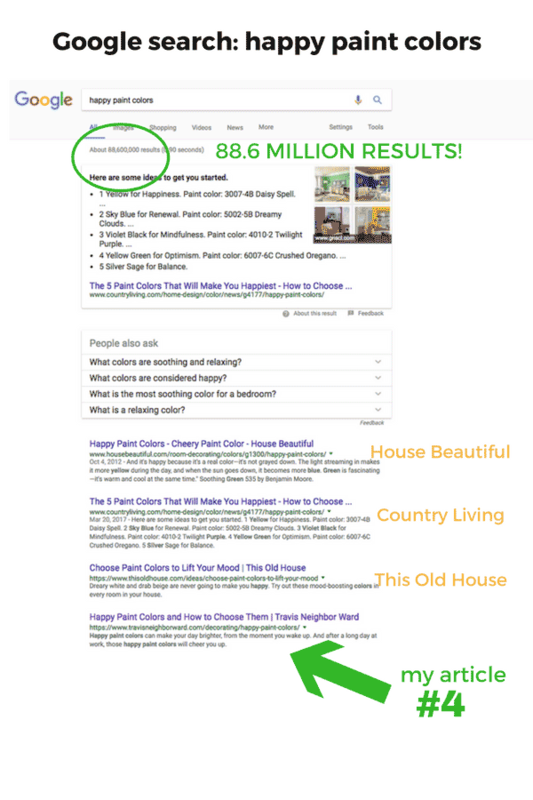 When it comes to home decorating articles, the competition among websites, blogs, and YouTube channels is fierce. It includes everything from Martha Stewart Living and HGTV, to House Beautiful and Elle Decor. 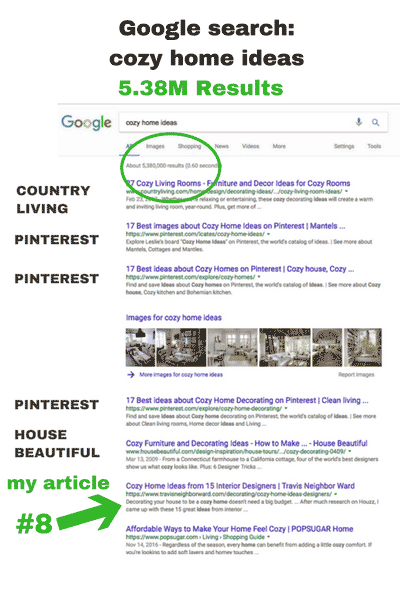 My goal was to rank on Page 1 of Google SERPs for a series of decorating articles, and to do it organically without spending any money on ads. Readers with an interest in home decorating love articles that tell them how to decorate; what to buy in order to complete DIY decorating projects; and how interior designers tackle challenges. My goal was to teach readers how paint colors can affect the atmosphere in a room and your mood when you’re in it. My goal was to give readers ideas about how to make their home cozier through decorating. I also wanted to include lots of designer ideas and photos, so I linked to ones that I found on Houzz. Ranked #4 out of 88.6M results. Ranked #8 out of 5.38M results.